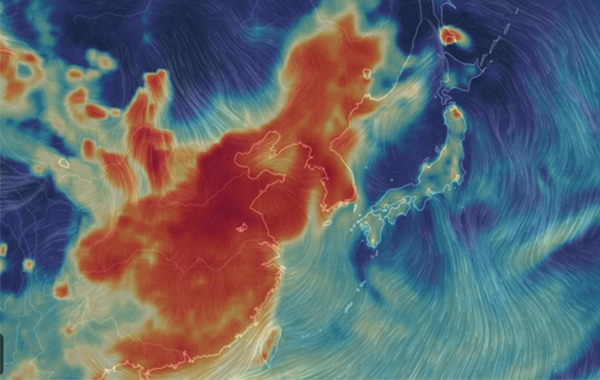 The Korean peninsula has been enduring the worst wave of fine dust for record long days with the ultrafine particles, smaller than 2.5 micrometers in diameter, reaching 126 micrograms per cubic meter (㎍/㎥) as of 8 pm Monday, the highest measurement since the pollutant has been tracked from 2015, according to the Ministry of Environment. The level of fine dust in Seoul averaged at 188 ㎍/㎥ on Monday, beating the previous record level of 99 ㎍/㎥ in Seoul on Mar. 25, 2018. The anti-dust measures were enforced from 6 am to 9 pm on Monday for Seoul and its surrounding areas with the exception of Yeoncheon and other several regions in Gyeonggi Province. Such measures introduced in 2017 are taken when fine dust levels exceed 50 ㎍/㎥ for two consecutive days. It marks the first time that the government has taken reduction measures for three consecutive days. Seoul banned about 320,000 old diesel vehicles weighing 2.5 tons or above registered before 2005 from the road for the third consecutive day as part of its emergency measures to fight fine dust. Half of public vehicles are also grounded during the day. The measures offer little comfort. The National Institute of Environmental Research (NIER) said the situation would not get any better throughout the morning of Monday across the country. 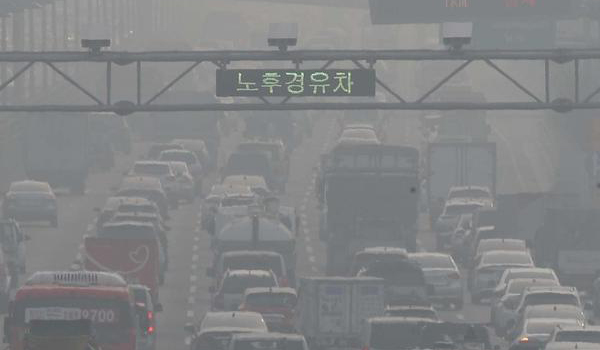 Seoul hopes its stricter rule that will ban more vehicles from entering Seoul starting next month would help dilute the level of fine dust. The metropolitan government earlier this month announced an administrative act that will ban all aged vehicles – gasoline, liquefied petroleum gas and diesel – rated Grade 5 under emissions standards from entering Seoul and the surrounding areas when fine dust warning is issued in the city starting Feb. 15. The aged cars subject to the new rule are 2.7 million vehicles. The country has been grappling with the worsening find dust pollution that has become a growing health threat to people for years. To combat that, the Korean government has also introduced a slew of measures including a policy to wean the country off fossil energy. It has also toughened emission standards for air pollutants of fine-dust producing businesses such as coal-fired power plants and steelmaking facilities.